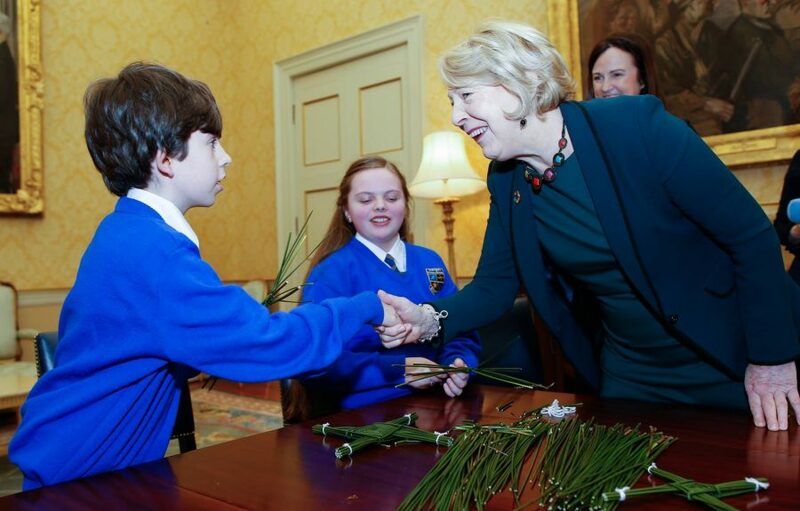 Children from County Kildare travelled to Áras an Uachtaráin on Thursday as the county celebrated St Brigid’s Day. 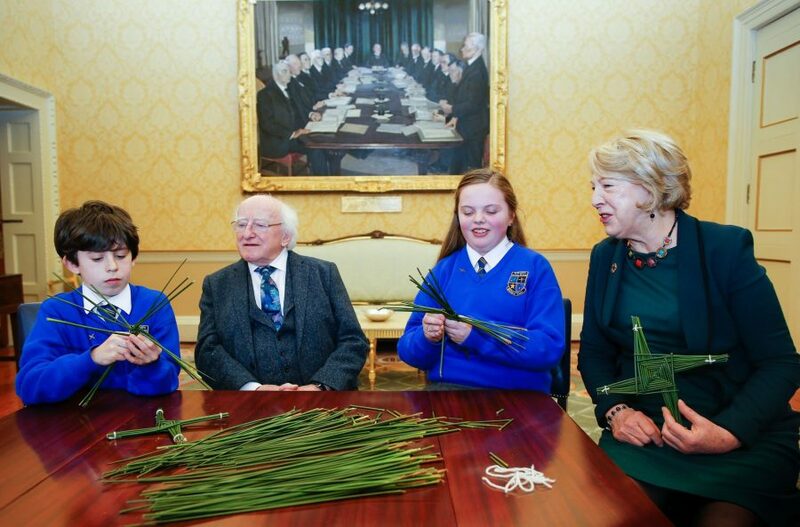 Sophie Hannon and Oisín Lee presented St Brigid’s Crosses to President Michael D Higgins on St Brigid’s Eve to mark the start of a week-long programme of activities commemorating the life of the Kildare native and Ireland’s female patron saint. 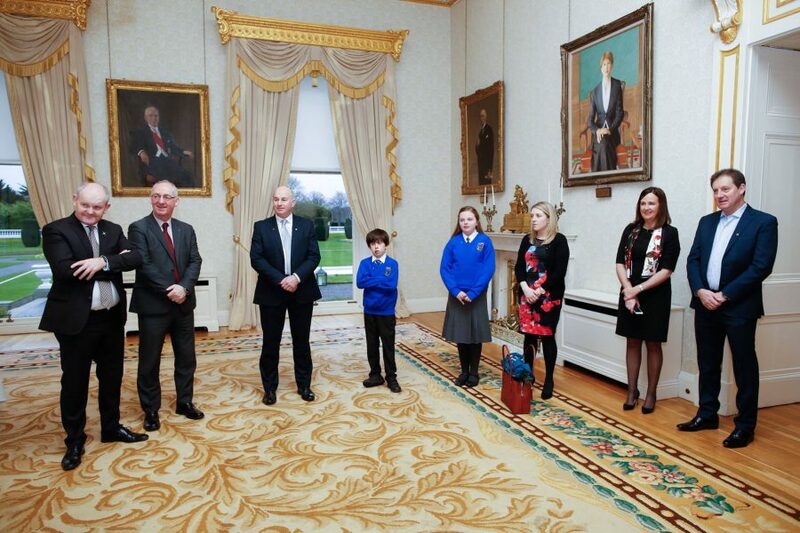 All are pupils of St Brigid’s Primary School, Kildare Town. 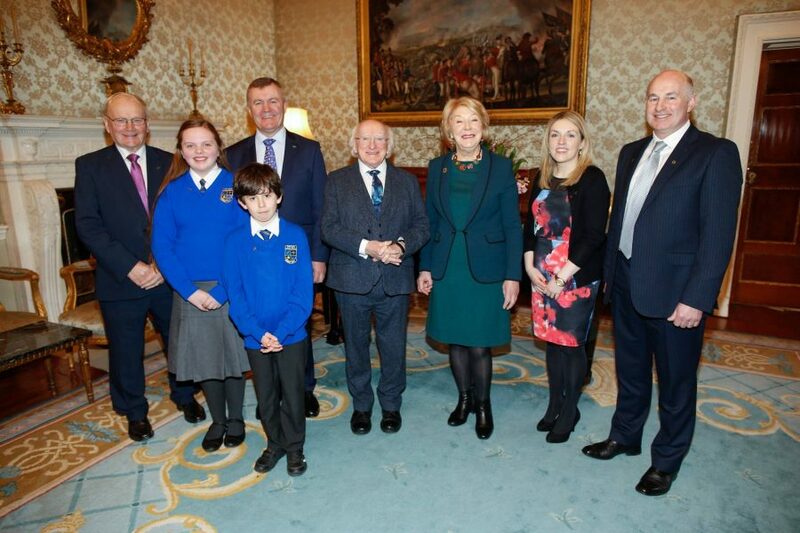 They were accompanied by the Mayor of Kildare Cllr Seán Power, the Chief Executive of Kildare County Council Peter Carey, the Chairperson of Kildare Fáilte David Mongey, the CEO of Kildare Fáilte Aine Mangan and Sr Rita Minehan of the Solas Bhride Centre, Kildare Town. 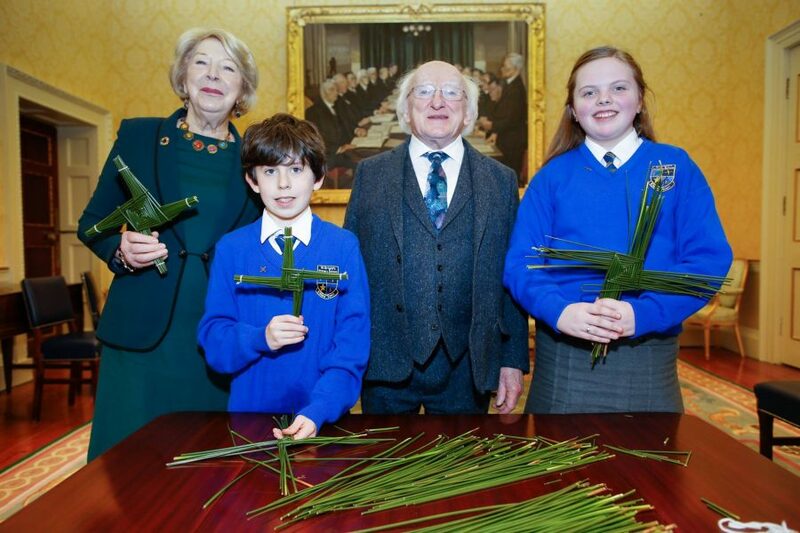 Sixth-class students Oisín Lee and Sophie Hannon of St Brigid’s Primary School, Kildare Town did a great job presenting President Michael D Higgins and Sabina Higgins with St. Brigid’s crosses.